WorldClassRoom FAQs - Where can I log in to WorldClassRoom? Log in to WorldClassRoom by visiting http://worldclassroom.webster.edu. Use your Connections ID and Password to login. 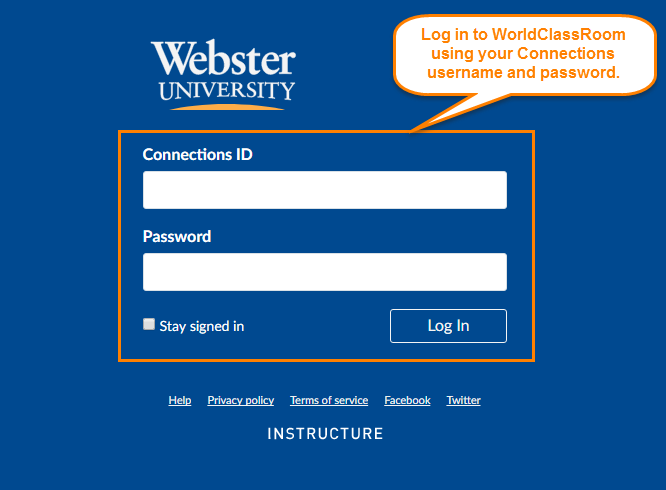 How do I access my WorldClassRoom course?